I didn’t think I had anything else to add, thus the reason my last blog was titled, “The End” but it turns out me being adopted is not simply over. I don’t ever get to dismiss it. It is part of who I am, despite how I do or don’t feel about it. Over the last year it has become a very frequented topic in my life, due in part to my journey and openness online. I have received emails, comments, and questions from friends and strangers about adoption. I will disclaim I am only one side of the triangle. I am the adoptee, so I will be speaking on behalf of adoptees only. My mom and I both agree… NOW! I don’t ever remember not knowing and my mom says it’s because she told me when I was very young. Whether I didn’t understand until I was 7 is hardly the point. It was never a secret, which I am so grateful for. There wasn’t an awkward sit down where my parents explained it to me for the first time. It was a word I was told at a very very young age and as I grew I understood more and more what it actually meant. So my answer is right now!! Tell them right now! I do not and have never resented my parents for adopting me. I am not nearly that naive. Even when I was younger. I struggled with depression in my adolescence and as much as the doctors tried, I never pushed my problems onto my adoption. It has occurred to me that somewhere in the world there are 2 people who made a mistake. But it has also occurred to me that 2 other people CHOSE me. That’s better than a bio child 😉 am I right? Personally, in my very unique case I wish I could seal it all back up and never know. But I do see the benefits of both. It is a tough decision that unfortunately can’t be made by the child. The adults really need to agree on an adoption that suits all parents. But please (in case you haven’t followed all of my blogs) don’t teeter totter in between. It’s hard, but it’s harder if you don’t stick to a choice. And set very detailed boundaries. It is a very digital, social world. Follow your heart. I promise you will end up with a family that loves you. No matter how big, how biological, or how messy of a lifetime movie you make it. And remember whether you are the parents or the child, you can’t protect them from everything. It’s okay to ask questions and it’s okay to feel things. It has been an emotional journey, one that was harder than I first anticipated, but if my insight helps even just one person, it was worth it. If you have anymore questions, please continue to ask, I’ll do my best to answer them. Tags: adopted, adoptee, adoption, birth parents, Family | Permalink. Over the last weeks I have had thousands of people read my blog and hundreds of people have told me they support me. What an encouragement. I have been told that they find my story inspiring, but to be honest I find all of you inspiring. I’ve been asked by some of the closest people in my life and even complete strangers, “Why did you make this story public?” And my answer is simple. To inspire. Sure, not everyone will have an adoption story, but we all have brokenness in our life, what’s the use in hiding it, what’s the use in feeling alone? 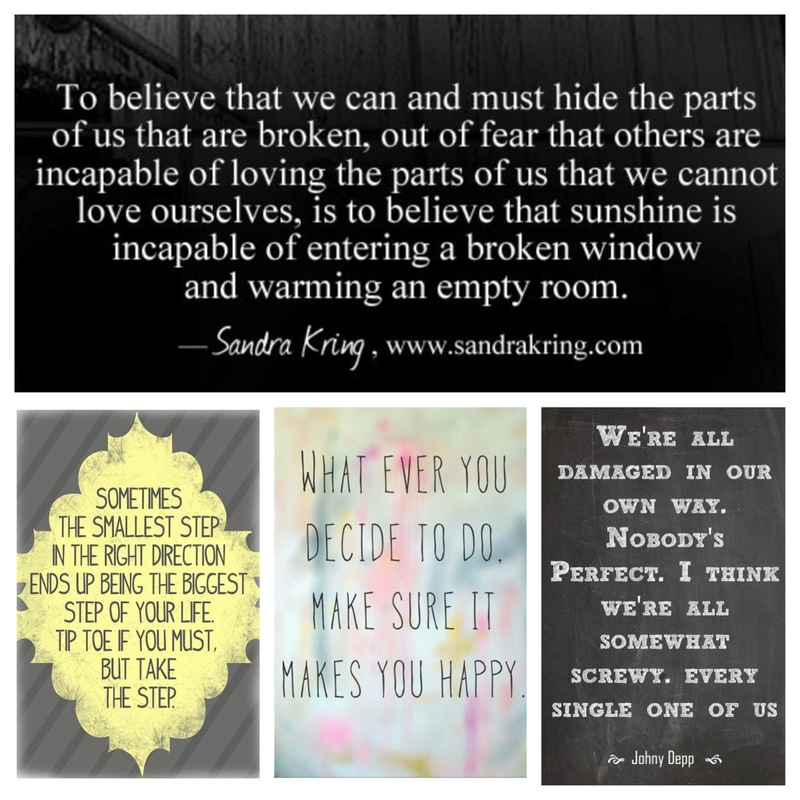 Here are some of my favorite things I’ve read lately that have encouraged me. I hope you find that they relate to you. And maybe you won’t start a blog tomorrow, but maybe you’ll confide in a friend, or even a stranger. Maybe you will tell someone what makes you less than perfect. If I haven’t said it yet, thank you. Thank you for your support, sensitivity, and encouragement. And for everyone who has shared their stories with me, keep taking those baby steps! Tags: adopted, adoption, Family, Inspiration, My Story | Permalink. Tags: adopted, adoption, birth parents, Family | Permalink. I wanted to use my own voice to read this letter to you that I recently sent to my birth mother. I wrote two very important, delicate letters. One to my birth mom and one to my parents. Tags: adoption, birth parents, Family | Permalink. It’s been a long time coming. A lot of prayers, time, and tears. I’m about to start a journey. Or rather turn a new chapter in one, because lets face it, life itself is the journey. I am 23 years old and for as long as I can remember I have wanted to be a writer. For me, one of the best ways to walk through life is to write it out, every bump in the road, every heartbreak, every joy. Life is full of coming of age stories and mine is about to become a cliche, a lifetime movie, and for those of you willing to join me on this scary journey, buckle up for the chaos. 23 years ago I was adopted. It’s been an underlining curiosity of mine for the entirety of my short lived life, and in the last few months it has started becoming an upfront, in your face desire to seek out this part of my life. I want to know and to write this part of my story. My hope is to share every part. To see where it takes me, to see where it takes other people. Writing is my form of expression, but this isn’t just my story, so I will be sensitive to those involved. My mom (my real mom, as I will refer to her as) My Mother (my birth mom, as I will refer to her as) My dad, (my real dad) My father (if I have one?) My siblings and most importantly my twin brother. And I ask that you do the same. I am openly sharing this part of MY life, but it’s my view of it, not theirs. Keep that in my mind, especially if you know my family personally. Thanks in advance for your support and sensitivity. 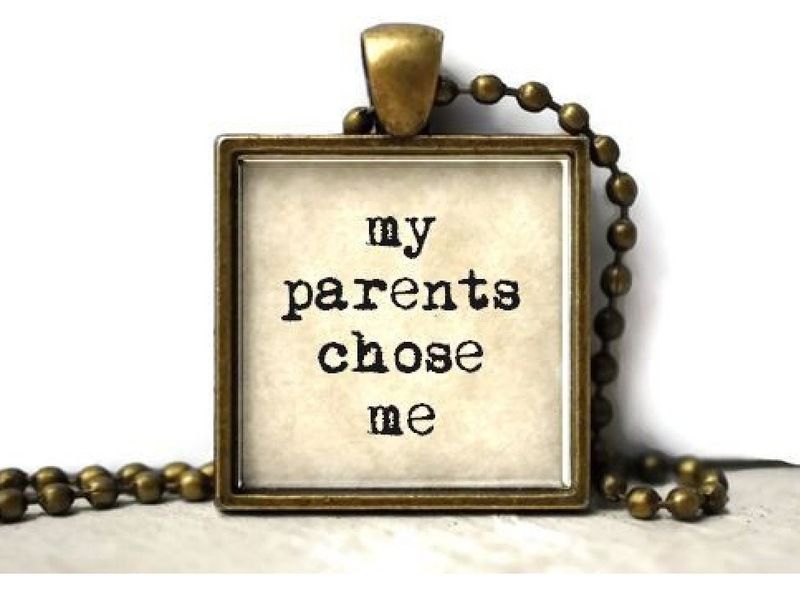 Tags: adopted, adoption, birth parents, coming of age, Family, soul searching | Permalink.